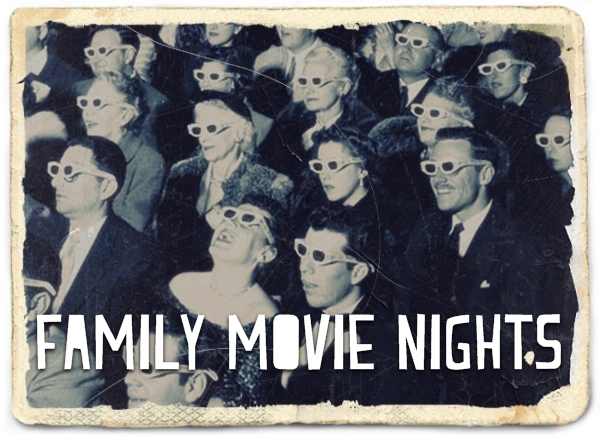 Well it's Friday night here at Casa Mio and we are looking at the glories of a movie night in, just for a change. We were MEANT to be going out *sniff* with friends *sniff* but our girlie has been off school sick today and it seemed unfair to dump a miserable child on a new babysitter, so we've had to cancel our plans (and our babysitter) and let our friends go have fun without us. Such are the joys of parenting and winter. The kids are watching this oldie-but-goodie as I type, while we wait for the pizza to arrive. Cars 2 is a great sequel. 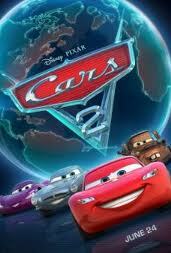 Some sequels are obviously a money-spinning exercise, but Cars 2 is as good (if not better) than the original. 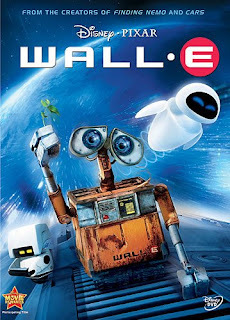 Scrag LOVES this movie. He saw it first at the movies, then watched it for the whole long-haul flight to England, and after getting it for Christmas watched it morning, noon and night without getting sick of it. It says a lot that his big brother and sister liked it almost as much. And so did the parents! Funny, clever, great story, plenty of racing and Mater as an accidental secret agent. What more do you want? KID WATCHABILITY - boys and girls both love it. Great for preschoolers as well as school kids. SCARY BITS - No scary bits! GROWNUP WATCHABILITY - We still watch it without minding at all. 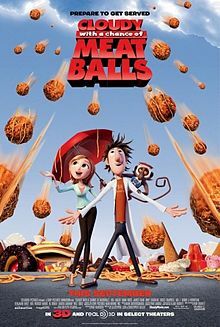 We all enjoyed this movie a lot. The great thing about it is that there's plenty of laughs, a unique story, lots of action and the adults enjoyed it as much as the kids. Great for all ages. KID WATCHABILITY: Great! Boys and girls both loved it. SCARY BITS: Not really any. Perhaps for more sensitive kids, the bit where they are up in the machine and being hunted by mutant roast chickens??? But it's actually more funny than scary. ADULT WATCHABILITY: We both loved it. It was really not annoying. Funny and clever. A really good family watch. Funny and original and very clever. A musical, which is partly animated; an animated would-be princess is banished to a place where dreams "never, ever come true" (our world) by a wicked stepmother/queen. What makes it so great is that the princess, Giselle (played by Amy Adams), doesn't realise she is no longer in a cartoon, and keeps breaking into song and enlisting mice and birds to help her with the chores etc. The songs stuck in my head for days afterwards (it's a musical). Great for all ages - even older pre-schoolers would cope with this. KID WATCHABILITY - Held both our boys' and girl's attention, There is enough action and adventure in it to help lads see past the princessy bits. SCARY BITS - One scary bit, right at the end. The wicked stepmother follows Giselle into our world and tries to tempt her with a poisoned apple and then turns into a dragon. the dragon isn't scary but the ugly old hag with missing teeth and warts who offers Giselle the apple is. When the kids were younger we always fast-forwarded past her (and I also told the kids she was ugly because she didn't brush her teeth when she was little). GROWNUP WATCHABILITY - Great fun for grown ups too. Grandma was visiting with us when we first watched this one and she liked it so much she wanted to watch it again. This was a fun kind of movie. I have always loved Doctor Suess, and It was good how they incorporated the actual poem into the story. 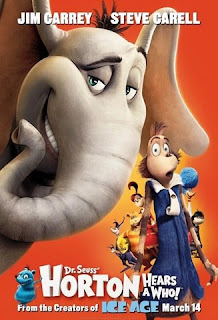 Very fast-paced and pretty funny; with the voice talents of those funny guys, Jim Carrey and Steve Carrell. We all liked it a lot. KID WATCHABILITY: Very Good. All the kids liked it. SCARY BITS: No scary bits, although there is a pretty ugly vulture in one bit. However it is not sinister the way it is handled so doesn't come off as scary. GROWN-UP WATCHABILITY: Very watchable for grownups. This is another oldie but a goodie. Great for littlies with all the animals. A good story (very well done) with lots of action and a dash of humour and morality. This is another simple story well told (the best kind of movies). We have this one in our collection and it's been ages since we watched it, but we all enjoyed seeing it again. 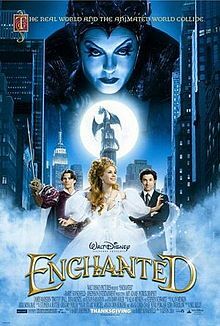 I remember watching it for the first time as an adult at the movies and loved it then too. Fine for pre-schoolers. KID WATCHABILITY: Excellent for all ages, there's enough action and humour to hold the attention. 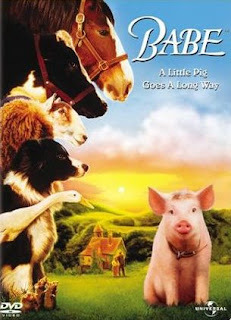 Ohhhh, this is such a sweet movie. I love it! An original story, it stands out from all the copies and wannabes. 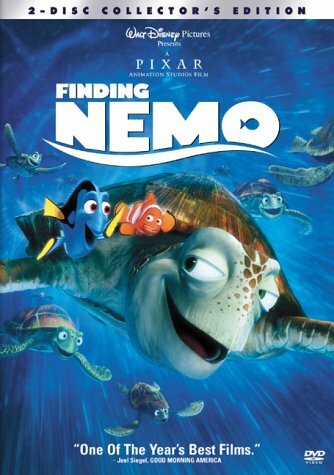 It's by the same producers as Finding Nemo and Cars (need I say more?) It's funny, action packed, and a simple story well-told. This is a good one for all ages. KID WATCHABILITY: Excellent for all ages. GROWN-UP WATCHABILITY: Fabulous. It is very watchable. I'd see it again, no problems. I know this is a really old movie now, but we watched it again the other week, and we all enjoyed it SO MUCH. It's a classic, a must-have movie in your collection. The characters are unforgettable (Bruce the Shark, The Turtle Surfer Dude, the Seagulls...) the one-liners are great ("Dude! You totally rock! "), and the story is simple and easy to follow without being patronising. The kids have enjoyed this since Dash was about 2 or 3 years old; Mr G and I enjoy it still, as adults. You just can't beat a classic! Great for all ages. SCARY BITS: No scary bits except perhaps when Bruce the Shark "falls off the wagon"
So, I hope Miss Fab gets better soon so we can leave the house sometime this weekend (especially since she has a netball tournament on Sunday...) In the meantime, we'll be watching movies. On the couch. By the fire. Making the most of a Friday Night In.